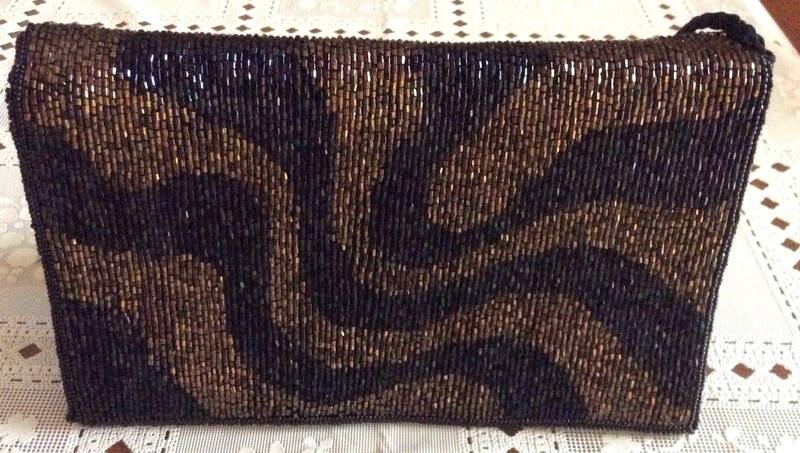 Vintage 80's black and bronze beaded evening bag with a swirl design. 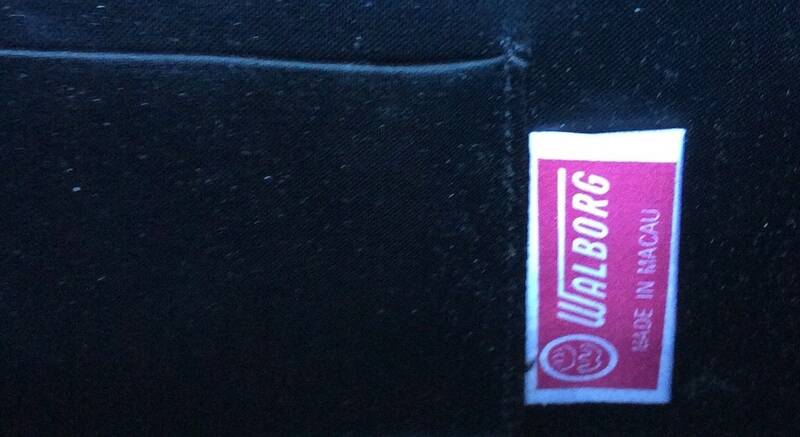 Made by Walborg in Macau. 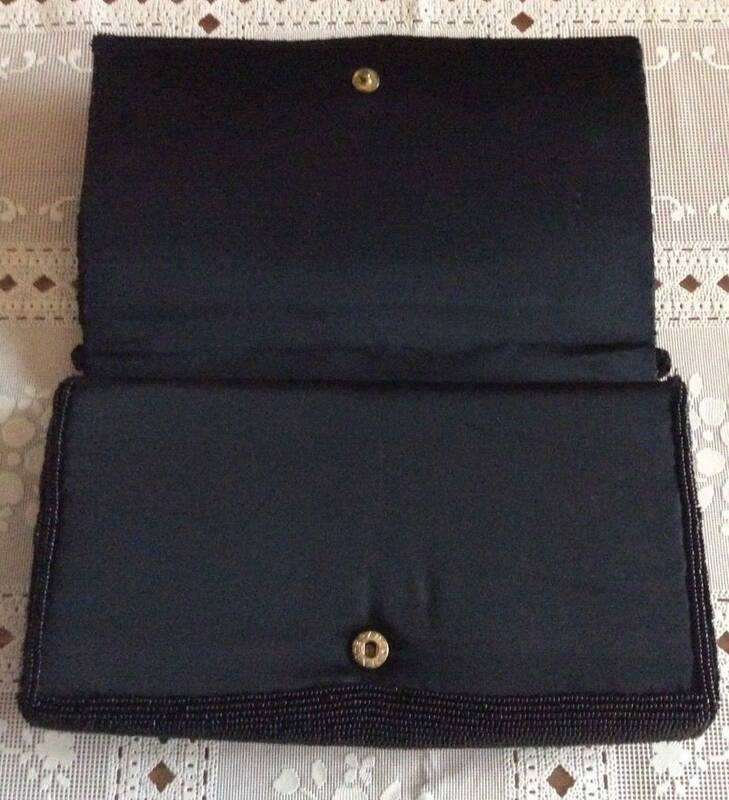 Silk lined interior with side accessory pocket and Walborg label. Fold over closure with snap. Black rope strap with a 21 inch drop. 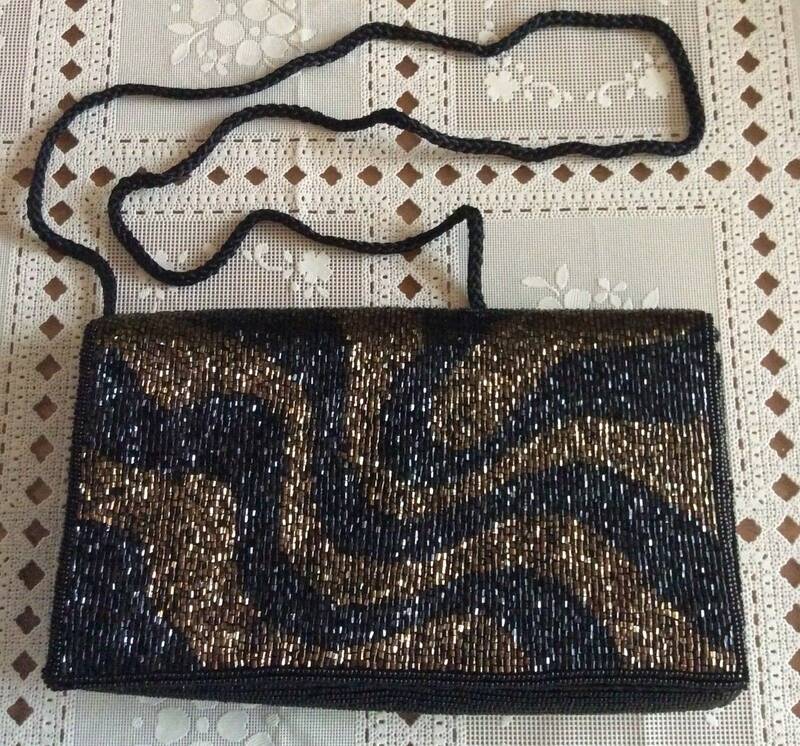 Fabulous condition! Dimensions: 8.5 inches long x 5 inches tall x 1.25 inches wide.